1969: in a world of possibilities New York’s greatest mind is on the verge of the greatest invention of the 20th century. Will she change the world? Or disappear mysteriously without a trace? Only you can save her! Did you get the new strain of yeast? Take her equipment. Load it into the van. All of it. Then give her another injection. Agent Smith tears Sedgwick’s lab coat and clothes off, stuffs them into a plastic bag and leaves her on the floor in her black bra and cotton briefs. Leave her. She was careless. And stupid. Drop a half-smoked cigarette on her mattress. Tell no one. This lab never existed. Today never happened. 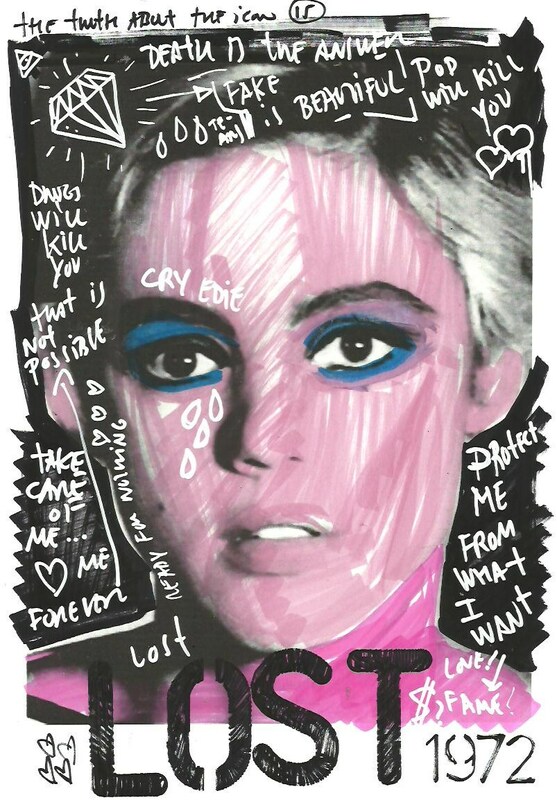 Edie Sedgwick disappears without a trace. The government has no comment. No one will talk. But there are those that remember her. Those that remember how she almost changed the world. They search for her still. Are you one of them? Will the truth about her tragic death finally be revealed? 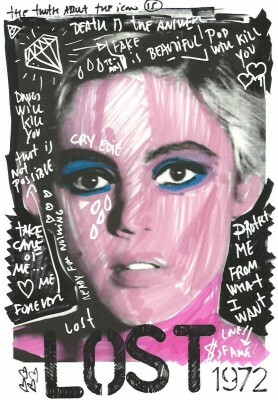 Edie Sedgwick Must Die! In 1969 a brilliant young girl is on the verge of a discovery that will change the world as we know it, then mysteriously she falls into a drug haze and dies a few years later thousands of miles away from her lab where she did all her research. Government shadows remove her equipment to an undisclosed location and make it look like an apartment fire. Ah, I get it, someone who dies over and over on the internet, who must die, is of course called E-die, or, if you or she wishes her to die more quickly, we dop the dash and just call her Edie. It’s like I’ve been walking around with this “document” and didn’t even know it.